Happy Birthday to the Reed Community Building! 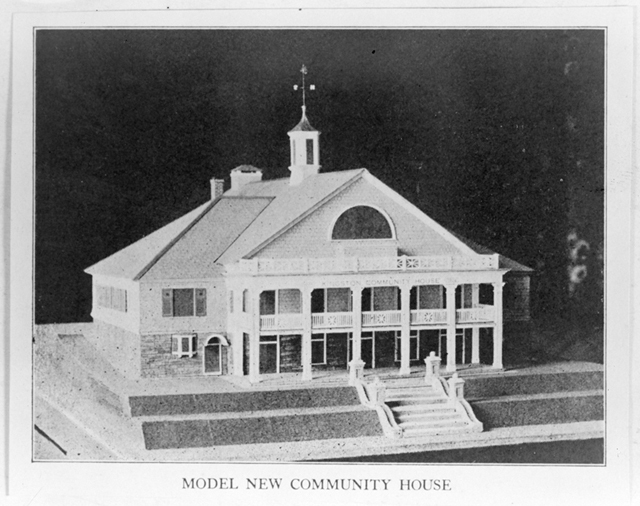 And this summer the town is to receive as a wonderful birthday remembrance the crowning gift of a beautiful Community House, given by Mr. and Mrs. Edgar Reed of Worcester. The Playground Committee must feel as if Aladdin’s lamp had been given to them and they had only to name a wish and have it granted. how many times have I heard their plans for a Community House and smiled to myself at the enthusiasm which could even dream of such a building, — and now it is all going to be true, only so much more and better than even the wildest dreams. It is a proud and happy Mother Town which inspires a love in the heart of a son and daughter which lives through many years to blossom at last in a gift like this. 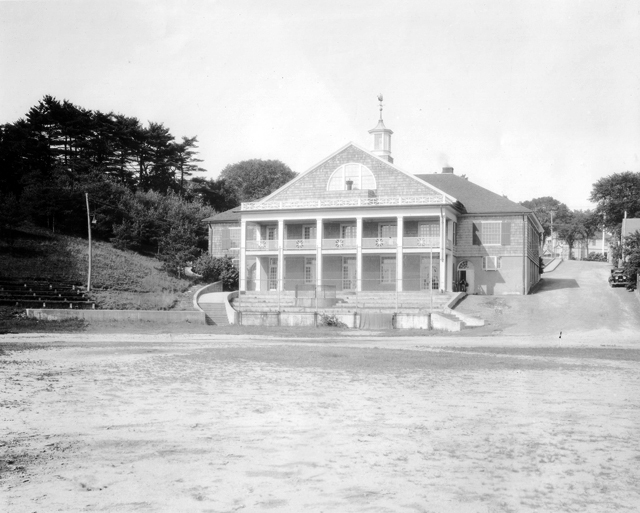 Below is the actual building standing proudly over the ball fields in its first decade. Here’s to many more!